Motorcycle accidents, not unlike automobile accidents, can result in serious injury or even death. However, there are issues unique to motorcycle accident cases that you should know about in pursuing your claim. These unique issues mean that not just any attorney will do for your motorcycle accident claim; experienced professionals with these types of cases know how to navigate these complicated issues to protect your rights and get you the results you deserve. Motorcycles, of course, do not have doors or walls separating riders from the rest of the world. This makes riding a motorcycle eminently more dangerous than riding in a car, even when all of the proper safety precautions are taken. Injuries in a motorcycle collision are often more severe and more complex than injuries in other types of personal injury or automobile claim cases. Injuries can include complex head or spinal injuries, compound fractures, injuries to the musculoskeletal system, etc. This means that the types of damages claims asserted in motorcycle accident cases can be similarly complex, and can include everything from long-term disability to lost wages. An attorney with experience in motorcycle accident claims will be familiar with the types of severe and complex injuries and ailments that can result from motorcycle accidents and can assist you in filing any and all claims that may apply to your situation. Laws applicable to driving automobiles are not always the same when it comes to riding a motorcycle. For instance, some types of insurance are unavailable to motorcycle riders, and many regions regulate the types of motorcycles that can be on the road. Some activities, like riding without a helmet even in a state where they are not required, can lessen the chances of prevailing on your claim. An attorney with experience in motorcycle accident cases will be familiar with the law surrounding motorcycle riding in your community, and will be aware of how to leverage the law in your favor. The general public is familiar with automobiles, and many have personal life experience involving motor vehicle crashes. However, many individuals, including potential jurors and judges, are unfamiliar with how to ride a motorcycle, their risks, how they operate, and what kinds of injuries to expect. 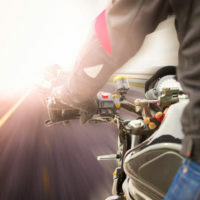 Further, motorcyclists can have a dangerous image and can be seen in a poor light, potential elements of bias that could influence the success of a motorcycle accident claim. An attorney with experience in motorcycle accident cases will know and be able to show that not all motorcyclists engage in risky behavior. They will be able to investigate and minimize these biases in, for instance, a jury pool. An attorney with experience with motorcycle accident claims will be familiar with the ways to present your case in the best light possible given all of the elements of your claims. If you have been injured in a motorcycle accident or believe you may have a claim, look no further than The Stanley Law Group. Attorneys at The Stanley Law Group have made motorcycle accident claims a part of their practice, and have the experience you need to safeguard your rights and interests. Call our office today at 803-799-4700.